Consumer confidence has slipped for the second quarter in a row, thanks to low inventory, ascending home prices and worries about the ability to save a down payment or qualify for a mortgage. 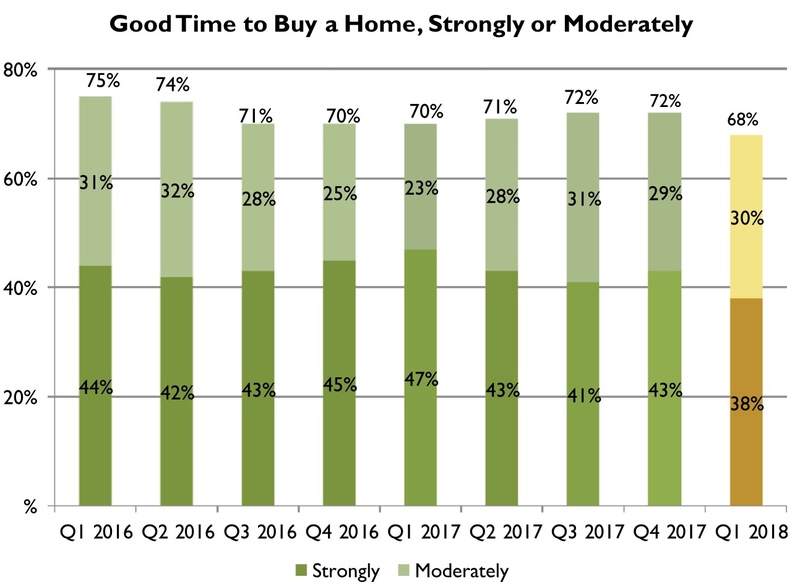 According to the National Association of Realtors Housing Opportunities and Market Experience (HOME) survey for the first quarter of 2018, homebuyer (68 percent) and renter (55 percent) sentiment about it “being a good time to buy” has slipped to the lowest levels since 2016. 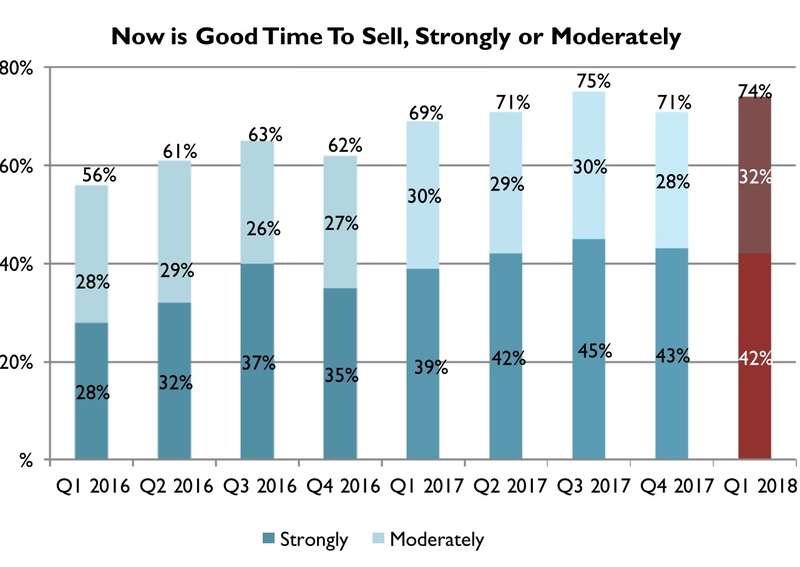 On the other hand, the share of homeowners who feel it’s a good time to sell increased 3 percentage points quarter-over-quarter to 74 percent — only one percentage point away from matching the highest overall share ever in Q3 2017 (75 percent). Once again, households with incomes more than $100,000, households in the South and Midwest, households in rural areas and baby boomers are most confident about their ability to buy right now. When it comes to selling a home, households in the West are still the most confident. “The critical shortage of listings in most markets continues to spark a hike in home prices that is not easy for many buyers – and especially first-time buyers – to overcome. Adding more fuel to the affordability fire is the fact that mortgage rates have shot up to a four-year high in just a few months. Many house hunters are telling Realtors that they are dispirited by the stiff competition for the short number of listings they can afford. While buyers and renters may be feeling low about their ability to buy, everyone seems to be feeling better about the direction of the economy and their personal financial outlook in the coming months. Sixty percent of households believe the economy is improving. This is an 8 percentage point quarter-over-quarter increase and a 2 percentage point year-over-year decrease. 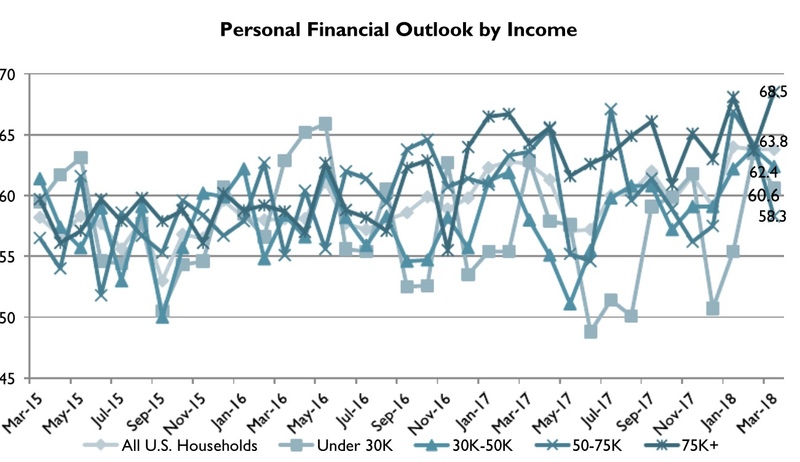 NAR’s Personal Financial Outlook Index, a component of the HOME survey that measures households’ confidence in their financial situation and where it will be in six months time, also increased 4.7 percentage points to 63.8. The index numbers correlate with respondents’ feelings about jobs and wage growth. “The jump in optimism to start the year can be attributed to the robust job creation in most of the country, as well as the larger paychecks households are enjoying because of faster wage growth and the recent tax cuts,” said Yun. Despite these financial improvements, renters and would-be buyers are still concerned about down payments and mortgages. 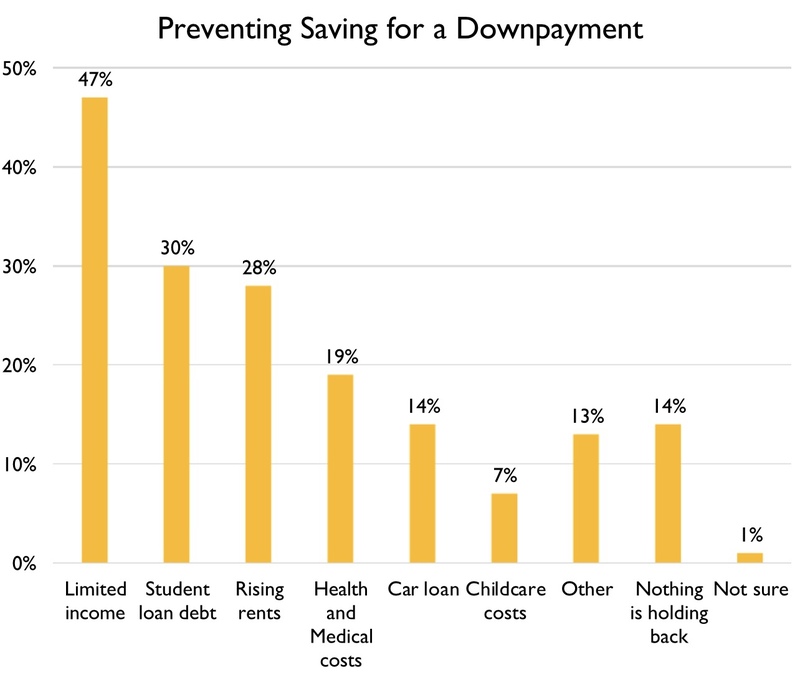 This demographic said limited income (47 percent), student loan debt (30 percent), and rising rents (28 percent) were their main barriers to saving for a down payment, and if they received an extra $5,000, 65 percent would put it in savings or pay bills while only 6 percent would put it towards a down payment. When it comes to qualifying for a mortgage, income uncertainty (45 percent), a low credit score (34 percent), too much debt (26 percent) and a lack of financial knowledge (29 percent) were the biggest hurdles. “Homeownership could be a more attainable goal once an interested buyer finds out how much they can afford to buy, as well as what steps, if any, are needed to improve their chances of obtaining a mortgage,” said NAR president Elizabeth Mendenhall in a statement. NAR’s HOME survey is released on a quarterly basis. For the fourth quarter, in October through early December, a sample of U.S. households were surveyed via random-digit dial, including a mix of cellphones and land lines. The survey was conducted by an established survey research firm, TechnoMetrica Market Intelligence. Each month approximately 900 qualified households responded to the survey. The data was compiled for this report and a total of 2,705 household responses are represented.